Blake, according to the ECHL score sheet, both teams only had 3 Shootout attempts. I didn't listen to the game so I don't know. 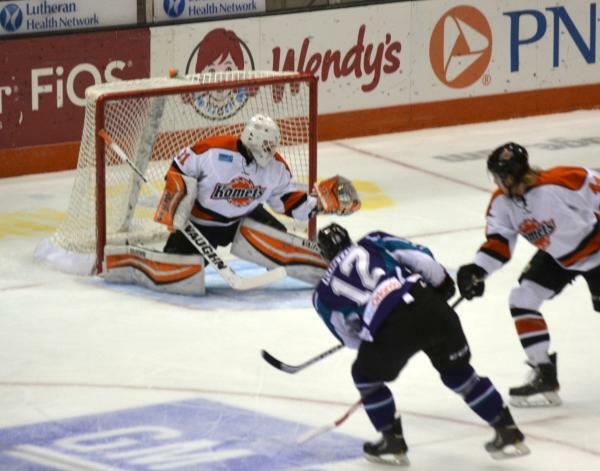 All season we have used 5 shooters in the ECHL. Was the rule changed? Congrats on the win. Great effort on both ends of the ice. Our poor execution on special teams continues, and it baffles me why we don't change our strategy. Opponents continue to pressure our PP and we can barely get set up in their zone, while we continue to sit back passively on our PK. Near the bottom in PP% and last in the league in PK%..........time to change our philosophy on special teams. This will be our achilles heel down the stretch and into the playoffs if we don't address. With the talent this team has, there is no reason to be at, or near, the bottom in special teams. Frazee actually scored the second shootout goal on the fourth attempt.